Last week we got some wonderful news that Megaventory ranked among the category leaders in the Top 25 Inventory Management solutions by GetApp. So, we decided to do a short roundup of some recent reviews on Megaventory. GetApp's ranking report aims to recognize the top solutions for SMBs and is based on five unique factors: user reviews, integrations, data security, mobile-friendliness and media presence. "Megaventory has stayed firmly in GetApp's Category Leader ranking since Q3 2015 as one of the top 25 inventory management solutions in the cloud", says GetApp researcher Suzie Blaszkiewicz. 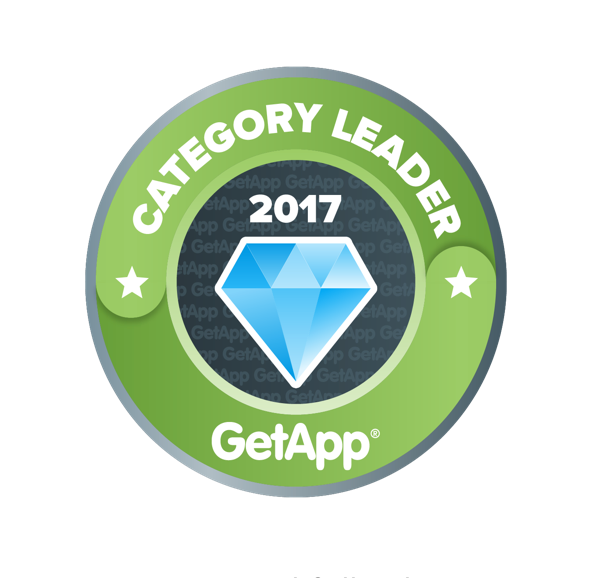 "An impressive reviews score of 14 with an average rating of 4.5/5 stars on GetApp, along with a score of 13 for its security protocols, have added to its overall total of 42, solidifying its continued presence as one of GetApp's Category Leaders for inventory management". Starting in Q1 2017, GetApp added additional components to its scoring methodology to provide even more valuable data to the ranking. What we loved the most is the dynamic character of the reviews, as they don't calculate just the number and average rating of reviews, but also give extra points for the review's recency. As constant software updates mean that reviews don’t have an infinite shelf life, this is highly important for both buyers and vendors. Merchant Maverick is a comparison site that reviews and rates credit card processors, POS software companies, shopping carts, mobile payments services, and small business software. They also write informative articles about the industry as a whole and their goal is to educate you about the industry and the companies involved so you can make an informed decision. Recently Jon Titterington updated his witty and thorough review of Megaventory and we loved it. “Megaventory is dependable, has good support, and reasonable prices”, says Jon Titterington from Merchant Maverick. “The tutorials stick out in my mind as being particularly well made. They address a lot of the initial “how do I get started?” questions that come with using software, and they do it in a straightforward, efficient manner. There are no annoying cartoon mascots either. Other clever features like the clipboard and the “card” system are great ways to stay organized and improve the workflow enough to give Megaventory a different feel from a lot of their competition”. Zapier provides an integration platform that allows you to automate daily tasks that involve using two or more applications. By creating a "Zap", you can define an action and set it up to be repeated when certain triggers happen for over 750 applications. Once you have created a zap, Zapier will continue to run it automatically. Matthew Guay from Zapier in his recent review says: “Megaventory is an online inventory management and ERP app that can do that and more. It can track all the data about your inventory, sales, orders, quotes, documents, and manufacturing, then turns in into dynamic reports so you can easily see which products need to be reordered, which documents have been signed, and more in a click”. If you are thinking to update your ERP software, we think that those reviews will help you come to a decision, so make sure to check them out. Nevertheless, we believe that the best judge of a software is the actual user, so why don't you start a trial account to experiment with Megaventory yourself? Let us know your thoughts in the comments below or tweet us!